It's Hand Knit Friday and the beginning of a 4 day weekend. 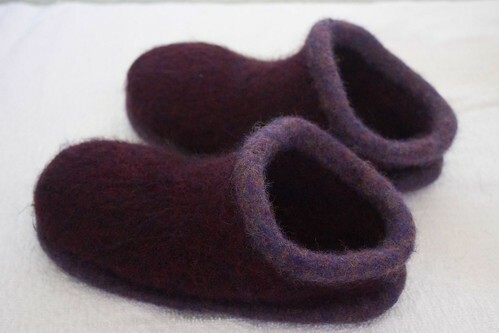 I'm kicking back in Fiber Trends felted clogs while watching the Titans of Mavericks. Amazing stuff. What hand knits are you wearing today?